Nejad Rugs is a Oriental Rug Designer, Importer, Manufacturer and Wholesaler located in Doylestown - in Historic Bucks County, PA Est. 1985 Member of the prestigious ORIA Oriental Rug Importers Association of America Nejad Rugs offers one of the largest inventories of investment quality new & antique Oriental Rugs from the best rug weaving regions in the world. Nejad's unique rug collections have been the premier source for interior designers with hundreds of different styles to choose from including high quality hand-knotted room and area size rugs, mansion size rugs up 16'x26', hall and staircase runners, round, square and oval rugs, kilims, tapestries and needlpoint rugs. Welcome to Floor Coverings International. We are North America's leading in-home design floor coverings brand. Our company is carefully crafted on creating for you, our customers, a discernible difference from any other floor coverings company. Our product selection covers all areas of materials you might consider for a flooring design in your home. We merchandise our product selection to give you a beautiful selection from only the finest manufacturers and we make it easy by bringing the flooring store to your door. 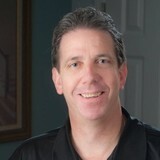 About Barry: Barry Fillman has been in the home remodeling industry since he was 18 years old. He has worked as an installer, estimator, foreman, and now as an owner. He never cuts corners, and will always give you a straight and honest answer to any question. He treats each project like it was his own house, and is equally comfortable both leading you through design or making sure your design is functional and cost effective. In his free time, Barry enjoys restoring automobiles as well as custom building projects. (most recently a "wishing well" for his wife's garden) About Jon: Jon Fillman has been in the remodeling field since graduating from Moravian College in 2002. He has participated in everything from floor covering installation and remodeling through complete small business management. Jon also is well versed in computer and electronic technology. He is proficient in Xactimate, a leading estimating software in the insurance industry. Jon has always believed that every customer is an opportunity to make a new friend. In his spare time, Jon enjoys playing guitar, restoring automobiles, and being out in nature. We believe that family and friends are the most important things in life. Without the ability to share, almost everything in life loses its meaning. We consider our customers part of our family. We have been fortunate enough to meet many wonderful people over the years, and are ever so grateful for the many long term friendships we have made. We enjoy when our past customers stop by if for no other reason than for a visit to catch up. Our day is brightened when we hear of your child's recent college graduation, or the birth of your new granddaughter. So just because your installation is completed, please do not be a stranger! Give us a call at (610) 981-1297 or click the "Contact Me" button to send us a message. We look forward to working with you! 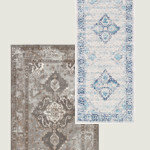 We are a boutique area rug retail shop located in Lakewood NJ. Now offering hardwood, vinyl and carpet. Our pride is 100% customer satisfaction while providing the highest quality unique rugs at the best prices guaranteed! Neiman NY area rug boutique is here to serve you with pleasure, wherever you are. Just let us know what colors and styles you’re looking for and we will ship samples right to your home or office. You can also drop by our showroom to view hundreds of samples and full size rugs on display in our friendly atmosphere. We have many satisfied clients, in NY, NJ and beyond! See, and feel, your rug before you buy it. We have only the best quality rugs at the lowest prices, guaranteed. You can expect help in finding that perfect rug for your space within your budget. Abram W. Bergey & Sons, Inc.
Abram W. Bergey and Sons has been a name associated with quality for over five decades. We have continued to grow and strive to meet the needs of this and surrounding areas. We have courteous, knowledgeable sales personnel who are here to help in selecting the products for your home. Followed up with 15 plus specialists trained to install our products in your home, business or other uses. The Rugs Shopping is a big Rug store NJ with high quality oriental rugs, also have huge collection of all type of rugs varieties at wholesale prices. We offer rug cleaning, restoration, and repair services in all our USA. Rich’s Carpet One specializes in a wide range of flooring options for residents and business owners in Hamilton Township, NJ. From carpeting and hardwood to laminate, vinyl, and title, we are a one-stop shop for all your flooring needs. Featuring low prices and a large selection of flooring brands and styles, we can provide the exact type of flooring you want at an affordable price. Our online Flooring Guide and Inspiration Gallery are easily accessible and will help you design the look you want. We offer special financing and free estimates. * We only install and service flooring products that we sell so we may properly service you! CMG Flooring is your premier source for all of your flooring needs. We specialize in assisting residential and commercial owners in selecting the floor that best suits their lifestyle. Our broad selection includes carpet, hardwood, tile, vinyl’s, laminates, and various dance and aerobic floors. As one of the only certified installers for Stagestep floors, we travel anywhere in the continental United States to install their premium dance floors. We pride ourselves in our level of customer service. From selecting your floors, to installation and beyond we are your one stop solution for all of your flooring. We come directly to you with samples and solutions with quality, convenience and customer service. CMG Flooring is an owner operated company that began in 1999 by Chris Grant. We are on a 100% referral basis. Our satisfied customers refer us to all new business eliminating the need to advertise. Chris started in his family's flooring business and decided to branch off onto his own upon returning from the Marine Corp. Semper Fi means always faithful and Chris has carried this lesson over to his customer service. Always faithful and honest with his customers.His attention to detail, hard work ethic and quality customer service makes him one of the best in the business. From the smallest residential job to huge commercial projects, Chris approaches every job with the utmost importance. 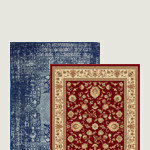 We are direct importer of all types of Area Rugs from various countries. We have been a wholesale firm for 28 years and are now open to public. We are a complete rug store with cleaning and repair services available, and can deal with any type of custom rugs. Our rugs are our own production made with highest quality. 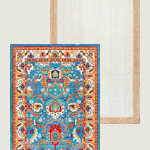 We also have a great e commerce capable website with thousands of rugs to select from. Cramers Carpet One Floor & Home has been family owned and operated for more than 40 years. Located in the center of Madison, our 5000 square foot showroom offers the latest in carpet and flooring fashion and design, as well as state-of-the-art dust free hardwood floor refinishing, carpet & area rug cleaning, even window shades and blinds. We have been members of Carpet One, an international cooperative of independently owned flooring stores just like us, since 1988. With the buying power of over 2000 stores behind us, we can provide you with the best in product, service and price. Through Carpet One, we can offer you our exclusive Beautiful Guarantee. We know how important it is to feel confident in your flooring selection. That's why we offer you peace of mind with our one-of-a-kind guarantee. We want you to be 100% happy with your new floor. If not, we will replace it for free. That's called The Beautiful Guarantee. 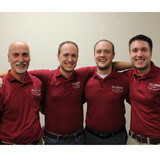 Our installers and technicians are company employees, some for more than 10 years. We will never send a subcontractor to your home. They are up to date on the latest improvements in installation techniques, as well as being experts in tried and true, old world craftsmanship. Our design staff has members who have been with us for almost 30 years. They too undergo continual education in the current styles and trends plus advances in product development. More importantly, our designers and consultants know how to listen to you and value what you have to say. We ensure that the beautiful end result of your project is YOUR vision for your home, not ours. Cramers Carpet One Floor & Home is committed to community. Our owner, Brad Cramer is a member of both Madison’s Downtown Development Committee and the Chamber of Commerce. Naturally, we support Shop Local and truly enjoy supporting many of your children’s sports teams. And, through Carpet One, we actively participate in Welcome a Cure and Building for America’s Bravest. Welcome a Cure raises funds for breast cancer research and awareness. Building for America’s Bravest program aims to raise funds to build custom designed, specially adapted smart homes for the most catastrophically injured American service members. Thanks for having a look at us here on Houzz and we hope you’ll visit our website as well, check us out on Facebook, or follow us on Twitter. Better yet, come see us at our beautiful showroom. We’d love to meet you and we promise you won’t be disappointed. *Authorized Dealer of Shaw Floors* Awarded Best Flooring store by Best of the Main Line, The Daily Local News and the News of Delaware County, to name a few. We were featured on the TV series "Trading Spaces". Boyle's is on top of style and color trends, conscious of our environment and always strive for perfection. See for yourself our commitment to service. We design, supply and install floor and window treatment solutions for homes and businesses. Over 75 years of award winning experience. At Boyle's Our Personal Service Makes the Difference. 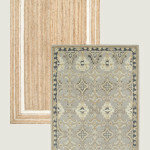 We sell carpet, hardwood, engineered wood, laminate, luxury vinyl tile, rugs and remnants with a very personal touch. Come into our 3,000sf showroom and let us help you with paint colors and fabrics. We work residentially, commercially, with designers and architects. You will love working with us. Home shopping is always available. The Carpet Girl is making her mark in the flooring industry: with a smile across her face, a dynamic attitude and that ever-present, vibrant-colored bag on her shoulder. But don’t let the bubbly personality fool you: The Carpet Girl is very serious when it comes to taking the pressure and uncertainty out of selecting and purchasing flooring. The Carpet Girl founder Dianne Grossman understood the stress and anxiety of walking TCG Showroom2into a big box store and being confronted with so many options. Where price placards advertise cost-per-piece and not product quality. TCG is the realization of Grossman’s vision to create a place where every-day consumers could come to purchase high-quality flooring. Where trusted, guiding hands will help them choose the premium products that fit their lifestyle at prices that fit their budget. The Carpet Girl’s inspired, one-on-one flooring service model even allows customers to choose a convenient time and place to meet to discuss their flooring needs. The Springfield, New Jersey showroom opened its doors in June 2013, and boasts the widest selection of superior-quality carpeting and flooring options, many unavailable from other retailers. TCG works with professional, insured installers in New Jersey, New York and Pennsylvania to service our customers. At Floor Coverings International we work hard to make sure our product offering represents the best that the flooring industry has to offer. Whether you are in search of a soft and comfortable carpet for the bedroom, durable tile flooring for your entryway, a whole home full of beautiful new hardwood flooring, or a unique specialty flooring product, we have the product you are looking for. With a constantly updated line of products from all the major manufacturers and mill-direct pricing, we are your best flooring resource. Morawski Flooring is a privately owned flooring installation company. We strive on the belief that customers' needs are of the utmost importance. Our entire team is committed to meeting those needs. As a result, a high percentage of our business is from repeat customers and referrals. We handle most type of flooring needs such as hardwood, carpet, laminate, vinyl, ceramic tile, etc. We would welcome the opportunity to earn your trust and deliver you the best service in the industry. We promise you will not be disappointed! Carpet dealers in Pipersville, PA help homeowners choose the correct carpet covering for their floors, and also assist with carpet maintenance. This includes determining factors like material, carpet pile, durability, color and size, as well as helping with any custom carpet design. After completing the initial installation (which includes removal of the old flooring, if applicable, and surface prep), they may also handle follow-up maintenance requests such as carpet cleaning, carpet repair and carpet stretching. Carpet dealers might work closely with Pennsylvania contractors, interior designers and others in the home building and home improvement industry. Here are some related professionals and vendors to complement the work of carpet dealers: Interior Designers & Decorators, Design-Build Firms, Specialty Contractors, General Contractors, Home Builders. Find a carpet dealer on Houzz. Narrow your search in the Professionals section of the website to carpet dealers in Pipersville, PA, and read reviews and ratings for pros in your area.